The first model that Porsche released to the world was the 356, in 1948. The prototype was produced in Gmund, Austria. That was because at the time, the facilities in Porsche’s hometown of Stuttgart had been requisitioned by Allied forces and not returned. The 356 had an aluminum body and was based on a number of the same components as Volkswagen’s Type 1 with a 1.1L flat-4 engine. Just over 50, including the prototype, were produced. Serious production began in Germany in 1950. A consulting contract signed the previous year with VW provided Porsche with investment, parts and a sales network. To improve production efficiency, the body was changed to steel, and 1.3L and 1.5L engines were added to the lineup for a total of three types. The body types were coupe, roadster and cabriolet. In 1956, the windshield, which had previously been divided into two, was changed to one curved pane. Additionally, the design of the area from the roof to the engine hood was changed, producing the 356A. This model was called the A Type, and for convenience, those that were produced from 1950 are known as pre-A Types. In 1959 came the 356B. 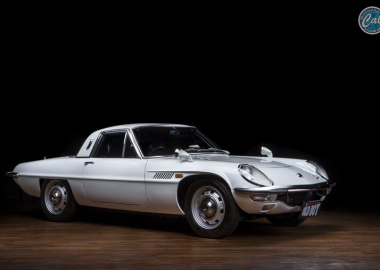 The body panels were redesigned from scratch, and the standard engine was enlarged to 1.6L. In 1961, a 2.0L engine was added. The final type, the 356C, made its debut in 1963. 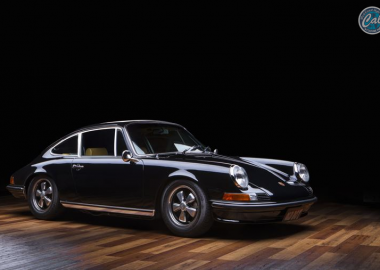 Production continued even after the birth of the 911 in 1964, but regretfully ended in 1966. Imported in 1987, this European spec, 1961 356B Cabriolet has been modified in consultation with the owner. 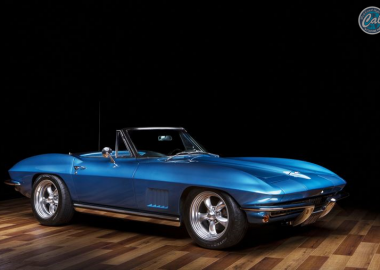 The appeal of classic cars is different from person to person. 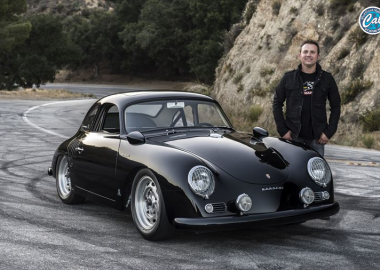 While some people focus on how close a car is to its original condition, others get a thrill from cars that have a classic look combined with modifications for modern driving conditions. A bumperless exterior gives this car a racy, Clubman-like look.The engine size was increased from 1.6L to 1.75L. Coupled with the light body, this gives it a direct feel with plenty of torque. Painstaking care was taken with the body paint to get the dark green metallic color just right. The canvas cloth, in the same color family, is a superb finishing touch. In line with this, the interior, including the dashboard, door trim, carpet and floor mats, were carefully chosen for texture and color. 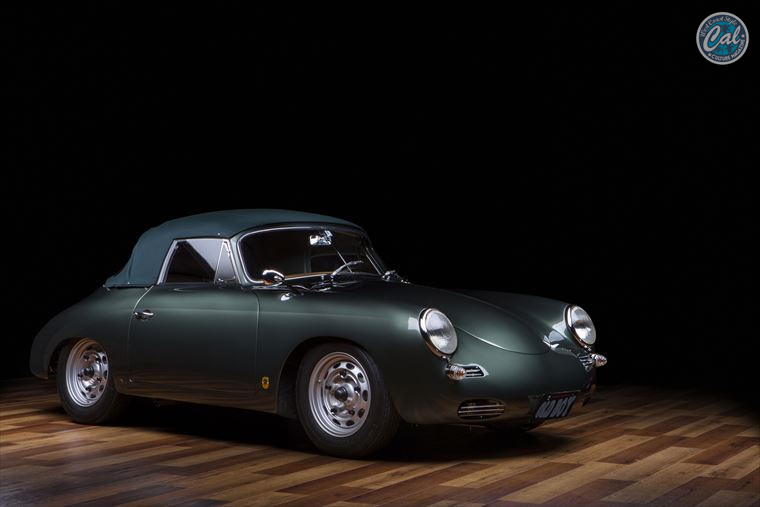 Knowing the high point of a cabriolet, made the owner’s very own special 356B. Even though it is a production car, the appeal of a Porsche is its high potential and quality. 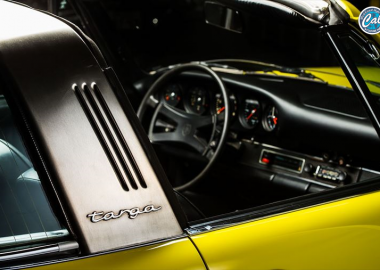 There are many users who are deeply attracted by the great feel of Porsche vehicles, including the 911. A car only really comes to life when it is driven_. A restoration can be a good opportunity for making broader modifications. The spec sheet was filled out as normal as a reference.